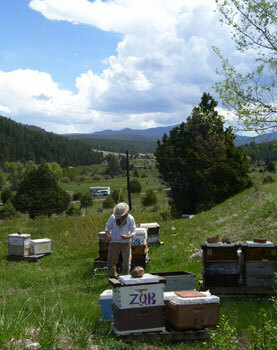 Zia Queenbee Company of New Mexico and Superior Honey Farms of Michigan are collaborative companies dedicated to producing the highest quality beekeeping products and services through sustainable and conscientious care of their hives and the surrounding landscape. Together, the two companies offer exceptional queenbees, starter nuclei, assembled hive boxes, varietal honeys, pollination services and community education about the wonders of beekeeping. 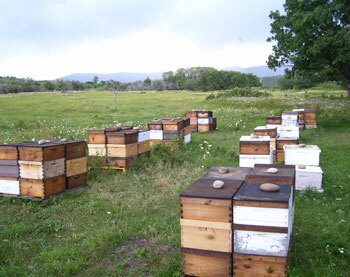 Melanie Kirby established Zia Queenbee Company to provide quality queenbees and natural honeybee products. Melanie has been a professional beekeeper for 13 years and has specialized in queenbee-rearing for the past 11 years. She began her career as a Beekeeping Extension Volunteer with the United States Peace Corps. After serving her country abroad as a technical and cultural ambassador, she continued to learn and grow as a beekeeper. While working for two companies on the Big Island of Hawaii, she learned more skills in queen grafting and rearing. In Florida, she learned about nucleus and package bee production. Following these experiences, she committed her energies and skills towards beginning Zia Queenbee Company, a beekeeping enterprise that is progressive, innovative and ethical. In partnership with Mark Spitzig, Zia Queenbee Company and its sister enterprise Superior Honey Farms span from border-to-border. 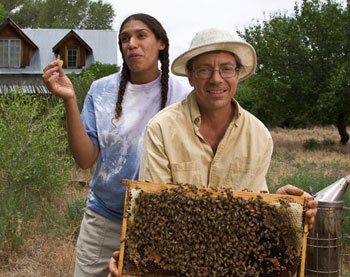 Queenbee Company’s bee farming takes place throughout New Mexico’s Land of Enchantment. 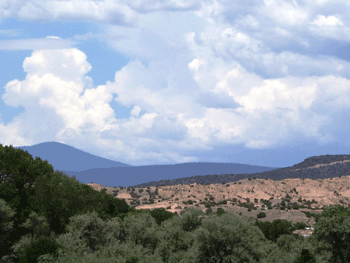 Home base is nestled in the folds of the Pecos, Santa Fe and Carson National Forests – in Truchas* (8300 foot elevation) with the backdrop of Truchas Peaks reaching over 13,000 feet elevation. We are on The High Road- halfway between Santa Fe and Taos, NM. Zia Queenbee Co. is in the heart of Pueblo Indian country – reverence for our location and nature’s gifts is prominent here. Zia Queenbee Co. is dedicated to conscientious and practical queen breeding/rearing projects and to maintaining local, regional and national sustainability. 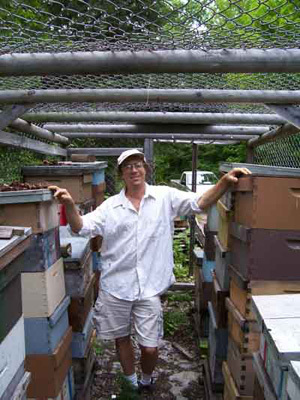 Mark Spitzig established Superior Honey Farms in the Upper Peninsula of Michigan in 2002. Mark has been beekeeping for over 10 years. Located on the shores of Lake Superior, Superior Honey Farms supplies pure local, raw, unblended and unfiltered honey to the Marquette Food Cooperative. In his search for reliable, productive and hearty queens, Mark decided to take his skills to the next level and rear his own. Through a partnership with Melanie Kirby, Superior Honey Farms has been breeding the Sooper Yooper Northern Survivor Queenbee since 2003. Beekeeping is a humbling profession, and we continue to learn and share “the best of what we have with the best of what we know.” We have combined our diverse skills, specialties, as well as personal and professional experiences to develop progressive and innovative queen rearing practices, exquisite honeybee products and community services. By breeding regional Queenbees, Superior Honey Farms and Zia Queenbee Company are dedicated to promoting local agriculture and markets. We are a reliable resource that supplies hearty Queenbees to the North Central Great Lakes region, the Rocky Mountains and the Greater American Southwest. Through selective breeding, our Queenbees are productive, gentle, hearty, and pest/disease resistant. They are suitable for over-wintering in either the northern climates of the Great Lakes or the high-altitude Southwest. We are part of a growing trend dedicated to revitalizing our industry and to returning to natural beekeeping practices that are healthy, holistic and sustainable. 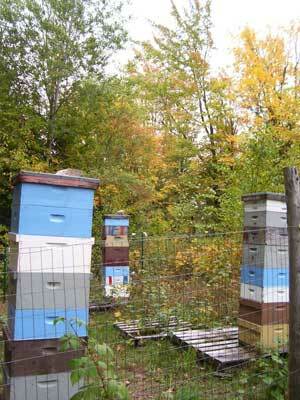 We look forward to serving backyard, professional/commercial beekeepers and interested community members.